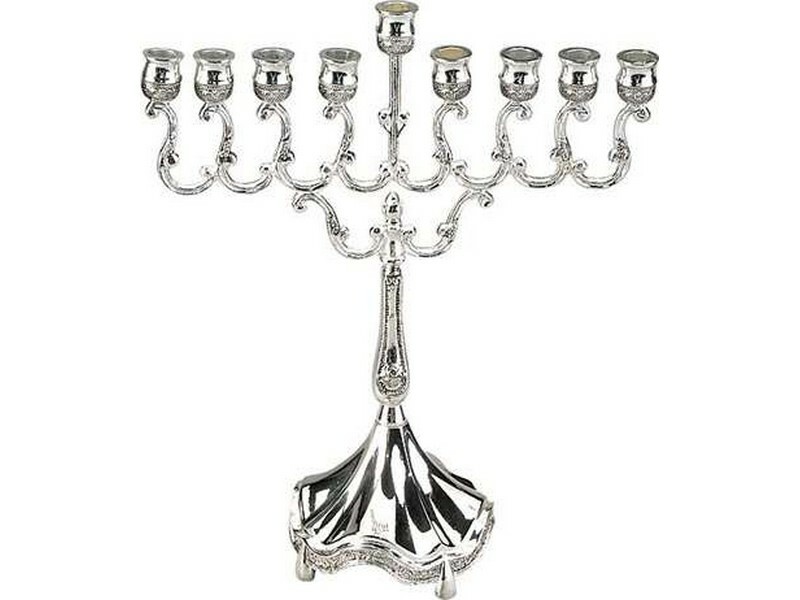 This silver plated Hanukkah menorah has the classical glamour at an affordable price. With its polished pedestal, all the way up to the candleholders, this menorah is a great buy. The candleholders on this menorah are suitable to adapt glass oil cups.